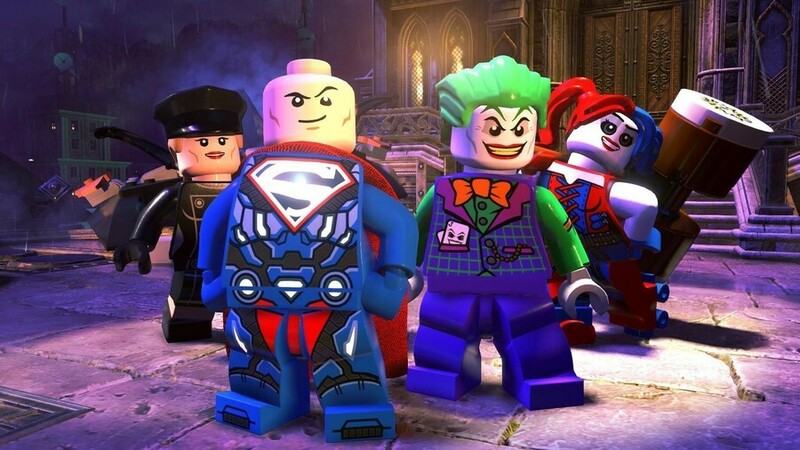 LEGO DC Super-Villains launched earlier this week on Nintendo Switch (or tomorrow, if you're in Europe), giving LEGO fans yet another dose of brick-tastic gameplay to sink their teeth into. To "celebrate the release" of the game, a recent survey was sent out to some lucky UK residents, asking them questions about their favourite DC supervillains. The questions asked respondees which DC villain they'd most likely invite round for dinner, which one most resembles their boss, as well as their favourite villain on the whole. The results showed that there are a couple of villains standing out as the most popular across the board, with some very familiar names appearing in each question. The fabulous feline Catwoman was chosen as the best supervillain company at a fictional fantasy dinner, closely followed by the Joker, and then the Riddler. 83% of 25-34-year-olds said their boss resembled a super-villain, with The Joker being voted as the baddie most closely matched to their work time overlords. Further probing revealed that 23% of respondents thought their boss was ‘able to instantly forget their own mistakes’, with 21% saying that they are ‘excellent at avoiding responsibility’. Finally, when asked which super-villain they liked the most and would embody given the chance, The Joker came out top once again, closely followed by the previously mentioned Catwoman. 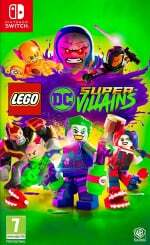 The survey results conveniently end by reminding us that LEGO DC Super-Villains allows players to "become the baddest villains around". We hope to have a review of the game for you right here on the site soon. This might be one of the strangest PR stunts we've seen in recent times, but hey - here we are talking about it, so what do we know? Why not leave your own answers to the three questions in the comments? Can't say I blame them. Pretty sure my parents would have questions though. That verison of Catwoman? Maybe a basketball game at best. @DiscoDriver44 There's more individual shots in that scene than the entirety of 2001: A Space Odyssey. It's also one of the worst scenes in movie history. I want Mother 3 for breakfast, lunch, dinner and linner. @nessisonett so glad your comment just appeared, thats really funny! Am I perplexed by the mere concept of the poll? Absolutely yes. Do I disagree with the results? Absolutely not. Was that particular Catwoman film an absolute joke? Apparently so. Would most habitants of video game website comment sections turn down an offer of dinner with her? I'm guessing not! Those that would want Joker round for dinner might want to do a bit more reading. I hope you're aware of what you said. @AlexSora89 That cats like tuna? Because my cat goes crazy whenever I open that can. ??? Wait, why would they think asking which baddies looks/act like your boss and who you want for dinner be a good way to advertise the game ??? Which is why the kitten femme fatale sidekick in T.U.F.F. Puppy often uses a tuna lipstick. Yep, "the cats lips taste like tuna". That's the joke.